Fred Meyer is based in Portland, Oregon, with over 130 stores throughout Oregon, Washington, Idaho & Alaska. Fred Meyer offers one-stop shopping with employment opportunities in apparel, housewares, food, pharmacy and home electronics as well as in our division office. We are always searching for individuals who share our passion for service, leadership, honesty and diversity. 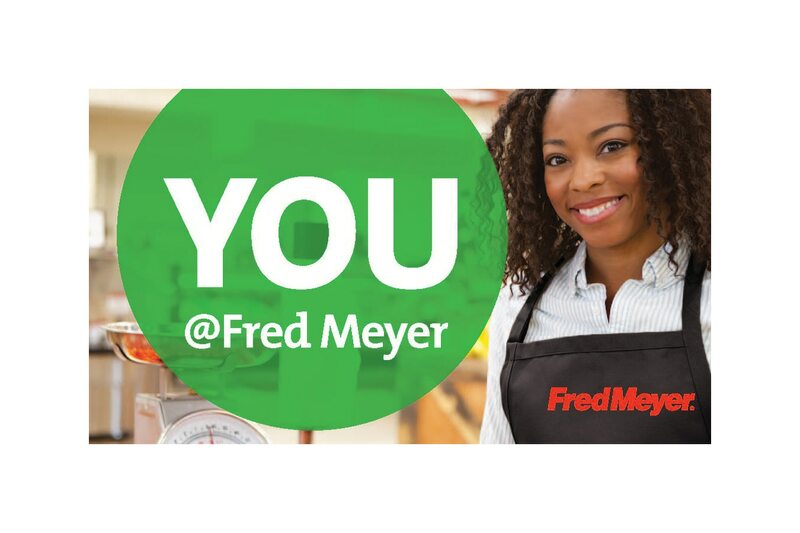 Whether you like working with people, numbers or ideas, you can find a home at Fred Meyer. And with stores and offices across the Pacific Northwest, we have opportunities for talented individuals with a passion for people and a passion for results. Marysville, WA, US, 98270 9925 State Ave 701 - Fred Meyer Stores, Inc.
Redmond, OR, US, 97756 944 Sw Veterans Way 701 - Fred Meyer Stores, Inc.
Fairbanks, AK, US, 99701 930 Old Steese Hwy 701 - Fred Meyer Stores, Inc.
Roseburg, OR, US, 97471 929 Nw Garden Valley Blvd 701 - Fred Meyer Stores, Inc.
Burlington, WA, US, 98233 920 S Burlington Blvd 701 - Fred Meyer Stores, Inc.
Seattle, WA, US, 98107 915 Nw 45Th St 701 - Fred Meyer Stores, Inc. Happy Valley, OR, US, 97086 8955 Se 82Nd Ave 701 - Fred Meyer Stores, Inc.
Everett, WA, US, 98208 8530 Evergreen Way 701 - Fred Meyer Stores, Inc.
Juneau, AK, US, 99801 8181 Glacier Hwy 701 - Fred Meyer Stores, Inc.
Auburn, WA, US, 98002 801 Auburn Way N 701 - Fred Meyer Stores, Inc.
Pocatello, ID, US, 83201 800 Yellowstone Ave 701 - Fred Meyer Stores, Inc.
Vancouver, WA, US, 98685 800 Ne Tenney Rd 701 - Fred Meyer Stores, Inc.
Bellingham, WA, US, 98229 800 Lakeway Dr 701 - Fred Meyer Stores, Inc.
Corvallis, OR, US, 97330 777 Nw Kings Blvd 701 - Fred Meyer Stores, Inc.
Anchorage, AK, US, 99504 7701 Debarr Rd 701 - Fred Meyer Stores, Inc.